ABUJA (Reuters) - Not many presidents could survive three multi-billion dollar government oil corruption scandals and a wave of cold-blooded killings and kidnappings of civilians by Islamist militants still holding hundreds of schoolgirls after six months. Nigeria's president Goodluck Jonathan has not only survived, he will seek reelection in February stronger than ever, after five years in a job no one expected him to get. Jonathan's support base within the ruling party is now unchallenged, a rare feat for the often fractious People's Democratic Party (PDP), while the main opposition APC coalition is split between two contestants for the presidency. The government announced a ceasefire with the Islamist Boko Haram rebels 10 days ago, ahead of talks in neighboring Chad to secure the release of more than 200 girls seized from Chibok village in April in an abduction that shocked the world. If the talks are successful it would help the president's image. But nothing has come of it yet and violence has since surged, with dozens more children kidnapped. Jonathan has defended his overstretched military's efforts against a Boko Haram insurgency that has killed thousands. In the case of the failure to free the schoolgirls, he has said any rescue attempt would endanger their lives. Meanwhile, apart from the security challenges, his government also has been beset by corruption allegations. A parliamentary report detailed a $6.8 billion fuel subsidy fraud. A government investigation revealed corrupt cut price crude sales to oil majors that cost the treasury billions. And a former central banker has reported that between $10 and billion $20 billion had been diverted by the state oil firm over 18 months between 2012 and last year. The government pledged to investigate the first two cases and denied the third. Last month, South Africa froze two payments from the Jonathan administration totaling $15 million that it suspected were for illegal arms deals. Nigeria said the deals were legal. Yet it is a testament to Nigeria's complex mix of ethnic rivalry, patronage and intense competition for centralized oil wealth in Africa's top producer that Jonathan can brush off these various scandals and attract a high level of support. Jonathan, a Christian southerner, was an accidental president, taking over in 2009 after President Umaru Yar'adua, a Muslim from the north, died from illness. When Jonathan was elected to his own term in 2011, many in the north resented his decision to run, believing he had torn up an unwritten rule that power should rotate between mainly Muslim north and mainly Christian south every two terms. Former military ruler Muhammadu Buhari, who lost to Jonathan in 2011, and defected PDP ex-vice president Atiku Abubakar are vying for the opposition APC ticket. Both launched bids in the past month, focusing on security and graft. Roddy Barclay, senior Africa analyst at Control Risks, a political risk consultancy, sees two "principle factors for Jonathan's robust position in spite of the scandals and failings which have rocked his government". "Firstly, the primacy of money and patronage in determining electoral outcomes in Nigeria," means an incumbent gets a huge advantage, and second, "the opposition lacks steadfast unity". That marks a big change from less than a year ago. In December it was the PDP that was in crisis. Thirty seven lawmakers defected to the APC that month, demolishing the PDP's lower house majority. Rotimi Amaechi, powerful governor of the oil hub state of Rivers, also defected. The same month, Jonathan's mentor and PDP Godfather, ex-president Olusegun Obasanjo, wrote a scathing letter saying it would be "fatally morally flawed" for Jonathan to seek re-election in 2015 because of corruption under his rule. Jonathan called the intervention "unjustifiable and indecorous". Ten months on and the APC has failed to capitalize. It has not agreed on a presidential candidate and several disillusioned APC figures have flipped to the PDP, underscoring the fluid nature of Nigerian party politics. They include popular two-term ex-governor of Kano state Ibrahim Shakarau, a Buhari rival, and former anti-corruption chief Nuhu Ribadu, denying the APC a strong anti-graft platform, although Buhari still has strong anti-corruption credentials. In June, the APC then lost a governorship election in southwestern Ekiti state to the ruling party. "The opposition is cannibalizing itself. Its top elites are vying against one another. 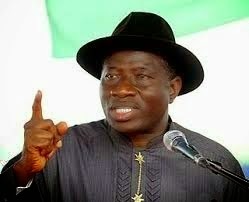 That's a glide path for President Jonathan," said Eurasia Group's Philippe de Pontet. "Had the APC sustained its momentum from 5-6 months ago ... we'd be in a different world." On Dec 2, the dynamic could shift when the party picks its candidate. Buhari earned a reputation for cracking down on corruption during his time in power in 1983-85, and most Nigerians agree he did not use the post to enrich himself, but it is not clear whether he would win votes from APC supporters in the south. The emotional conflict felt by Barrister Isaac Matthew illustrates Jonathan's staying power. Driven by the plight of the schoolgirls to leave a court case he was defending to join protesters demanding more action to rescue them, he says Jonathan bears ultimate responsibility since "leaders are supposed to protect their people". "I'm still probably going to vote for him," he said, citing Jonathan's concentration on power reform and some works Matthew said had greatly improved the road network. "The opposition has no credible candidate to stand against him. Not Atiku (Abubakar) and not Buhari." The power sector is under improvement, but that may not draw votes since the supply in one of the world's most electricity-starved countries has fallen in the short term. Many voters are likely to see the Boko Haram insurgency, which only affects the remote northeast apart from occasional bomb attacks in the capital or other cities, as just one problem in their large, diverse country. "Expectations in the electorate are fairly modest and they are hugely disenfranchised, despite ... years of civilian rule," said Antony Goldman, head of Nigeria-focused PM Consulting. "You don't need to be popular or successful in conventional terms to win an election in Nigeria," he said, although he added that no president had managed to stay popular after four years in office, and the APC had yet to present a clear alternative. One issue that has not yet played an important role is Ebola, rampant in some other West African states. A mixture of luck and impressively decisive action has meant Africa's most populous country was able to avoid a potentially devastating epidemic after a Liberian brought it to the megacity of Lagos, but the virus could still come back to plague Nigeria, with unpredictable political consequences. Jonathan's assumed decision to run has widened a divide between elites in Nigeria's south and north because of a feeling in the north that it is still their "turn" to rule. That makes violence likely, especially if the poll is close. In 2011, more than 800 were killed and 65,000 displaced in three days of violence after Jonathan beat Buhari in the poll. If Buhari, now 71, gets the ticket but loses the election again, his supporters may have less reason to end the mayhem so quickly if they sense he has missed his last chance.